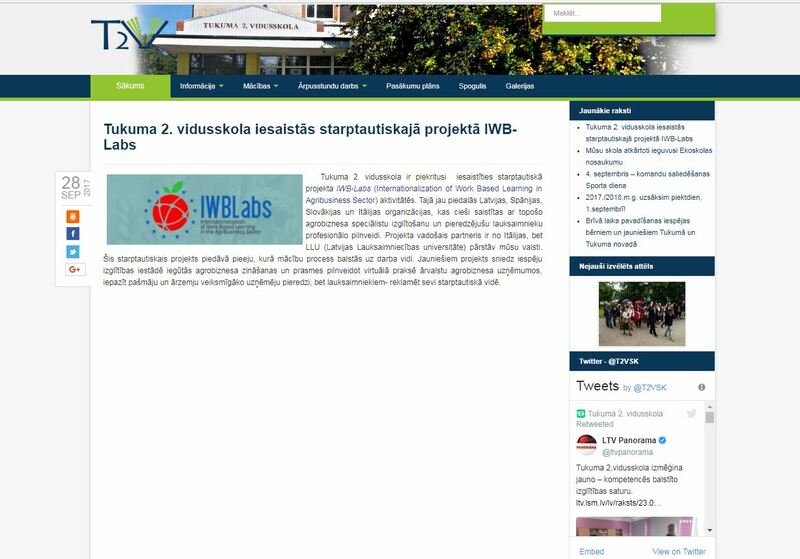 Daina Grasmane wrote email messages to representatives of 6 VET providers, 1 NGO and 1 governmental authority to find out whether they could publish a hyperlink to the IWBLabs project description published on the website of LLU. 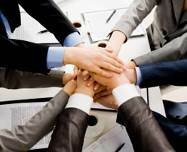 Also, a short article on the project was written for each addressee to individualize it- with the aim to publish it on the website of the respective organization. 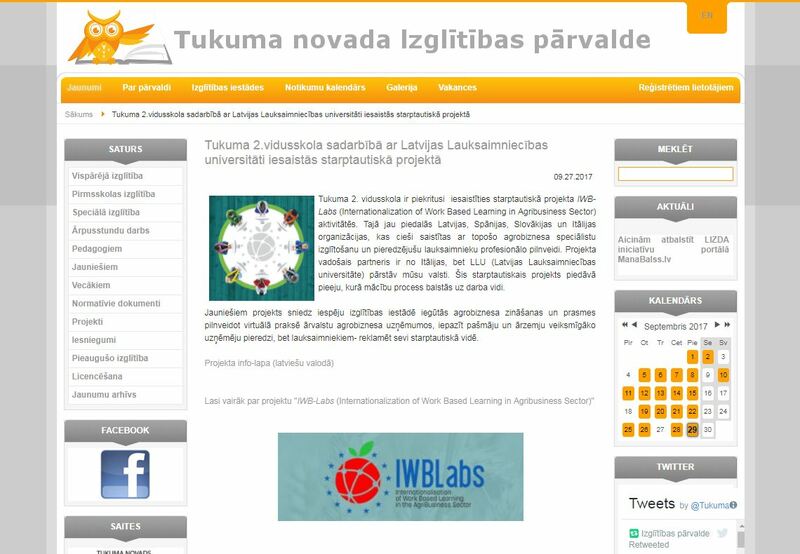 The Latvian version of the project brochure and the banner were also attached. 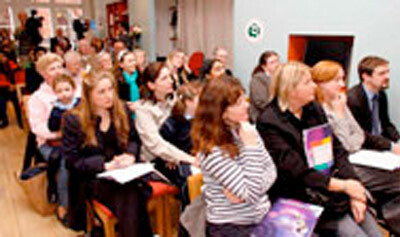 The materials were sent to: Dace Ziediņa, the Ministry of Environmental Protection and Regional Development (VARAM, in Riga); Sarmīte Vīksna, Director of the Zemgale Regional Centre of Development of Competencies (ZRKAC, in Jelgava)l Ritma Tīrumniece, Vice-Principal of Spīdolas School ( in Jelgava); Evita Korna, Vice –Principal of Secondary School No.2 at Tukums; the Latvian Rural Advisory and Consultation Centre at Ozolnieki (LLKC) Indra Eihvalde,;the Vice-Director of the Training and Research Farm “Vecauce” at Vecauce; Ilze Liepa- Nagle, Vice-Principal of Jelgavas Valsts ģimnāzija in Jelgava; Inese Ozola, Head of the Language Centre of LLU and Asnate Ziemele, Head of the NGO “Baltic Traveller”.